Theba became a familiar face in the 1990s when he appeared in various TV shows and commercials in the United States. Theba's big break was a role on the NBC pilot Death and Taxes. The pilot was not picked up, but it led to a recurring role for Theba on The George Carlin Show. Theba also had brief recurring roles on Married... with Children and ER. His other credits include appearances on Nip/Tuck, Alias, Two and a Half Men, Roseanne, Kitchen Confidential, Chuck, JAG, Arrested Development, Childrens Hospital, The Tick, The West Wing, Friends, Sister Sister, Seinfeld, Everybody Loves Raymond, King of the Hill, Weeds, Community, and Transformers: Dark of the Moon. Theba also appeared alongside Glee co-star Mike O'Malley in an episode of the sitcom Yes, Dear. He had a recurring role in ABC/CBS comedy sitcom Family Matters. In 2009 and 2010, Theba guest starred in two episodes of NBC's Community - Introduction to Film and Basic Genealogy - as Gobi Nadir, the father of Abed Nadir (played by Danny Pudi). He also guest starred on CBS's NCIS in 2012. He also was seen on the 8th episode of the 8th Season of Hell's Kitchen as he attended the 100th dinner service. In 2017, Theba voices Slav in season 2 of Voltron: Legendary Defender. 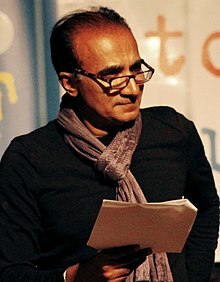 Theba's longest-running role has been as Principal Figgins in the Fox television series Glee. Throughout the course of the six seasons, Theba appeared in 58 episodes. Although Figgins was initially conceived as White, Pakistani American Theba was cast in the role. He finds Figgins a challenging character to play, as it entails finding "the right mix of someone who is an authority figure but who is also very insecure about his own strengths as a person." In 2012, Theba appeared on the first and ninth episodes of the second season of The Glee Project. Theba played General Umair Zaman, a Pakistani general who stages a military coup on the new HBO comedy series The Brink created by brothers Roberto Benabib and Kim Benabib. Theba was born in Karachi, Pakistan. He belongs to the Theba clan, a Gujarati-speaking group originating from Sindh. Theba attend the University of Oklahoma for civil engineering in 1981, but dropped out to pursue an acting career in New York. He has a BS degree in Construction Engineering Management. Theba returned to the University of Oklahoma to get a degree in acting in 1986. He moved to Los Angeles, California in 1991 after obtaining the acting degree. He is married and has two children: a son, Mikael and a daughter, Ranya. ^ a b "Interview with Iqbal Theba aka Principal Figgins". Neal B. in NYC. December 4, 2009. Retrieved December 19, 2009. ^ Stasi, Linda (May 14, 2009)." Rhythm Schtick: First Look at Hot New Musical 'Glee'[permanent dead link]". New York Post. Retrieved September 9, 2009. ^ "Green Book (2018)". IMDb.com. Retrieved 16 March 2019. ^ theba, iqbal (23 March 2011). "@ravezjunejo My forefathers r from Sindh. My parents are from Gujrat, India and I was born in Karachi. We speak Urdu and Gujrati at home". Twitter.com. Retrieved 16 March 2019. ^ "Interview with the Best Thing About Glee, "Principal" Iqbal Theba". Michelle Collins. September 30, 2009. Retrieved March 5, 2015. ^ "Iqbal Theba Twitter [Sep. 2013] Status". Twitter (verified account). September 5, 2013. Retrieved March 5, 2015. ^ "Iqbal Theba Twitter [Aug. 2013] Status". Twitter (verified account). August 28, 2013. Retrieved March 5, 2015. Wikimedia Commons has media related to Iqbal Theba.